Before leaving for Spain, a friend of mine said that markets were not as good as the one in France. I thought she would be right since she is well travelled and a food lover. She went to France many times and was in Spain recently as well. I have to say, after having been to France this summer and to the Market in Malaga yesterday, that I disagree with her. The Mercado Central Atarazanas in Malaga is fantastico! 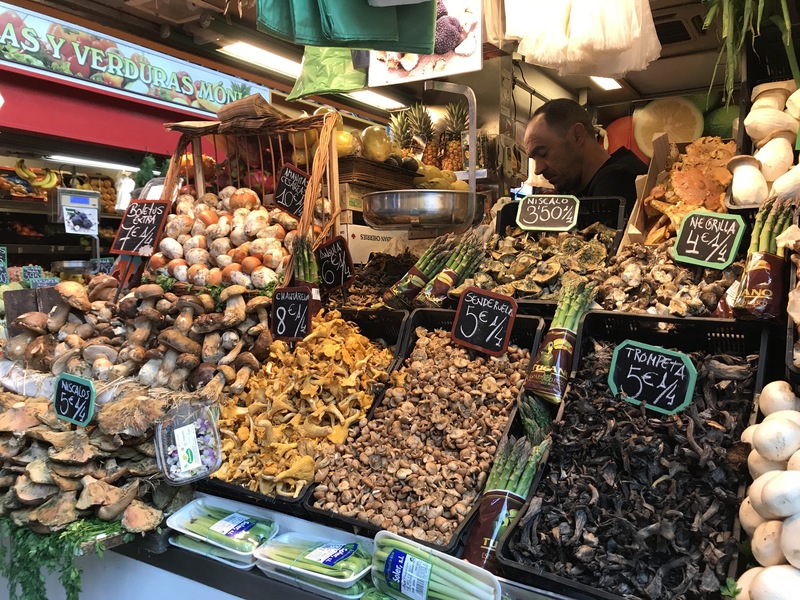 First of all, the market is incredibly clean, well organized and well stocked with everything from fish, fruits, veggies, meats, cheeses, charcuterie, Serrano & Iberico jamon, olives, nuts, breads and even a selection of croquettes!! The fish stalls are remarkably spotless which is rare I find at most markets and everyone is lovely to deal with. 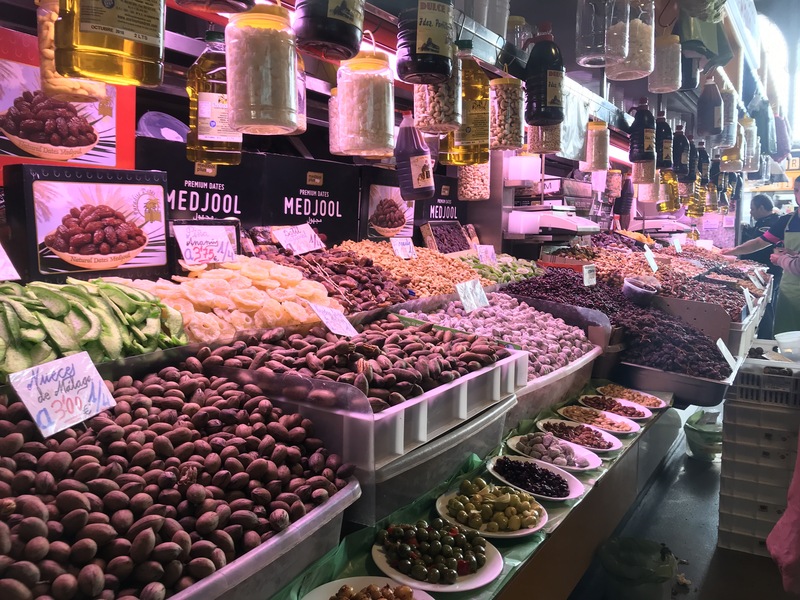 I plan to visit markets in all Spanish cities we will visit. I will be sure to report to you! Take a look at these few photos taken yesterday. Please note that this market is open everyday except Sundays and there are no fish or seafood on Mondays. Previous Post Requirements for bringing our dog to Spain, an unnecessary ordeal. Next Post How can mobile phone rates be so much cheaper in Spain than in Canada?